I went to Nail Salon "quuupiii" today. I had my nail design changed. After that I went to Snow cone shop "Omachido". 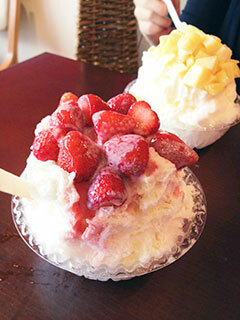 I had fresh strawberries snow cone. I was so happy again !! !